The selectors include a mix of meteorologists, photographers and photo editors who will look for work that combines photographic skill with meteorological observation. As Chief Executive of the Society, Liz works with the Council of Trustees to give vision, direction and leadership to its programmes of work. She first joined the Royal Meteorological Society in 2008 as Head of Communications and became Chief Executive in 2013. Liz has had a successful career in Meteorology working with the Met Office, BBC Weather Centre and the Ministry of Defence after studying a PhD in mathematics at the University of Manchester. Dennis Schulze is the Chief Meteorology Officer of MeteoGroup, Europe’s largest private sector business. 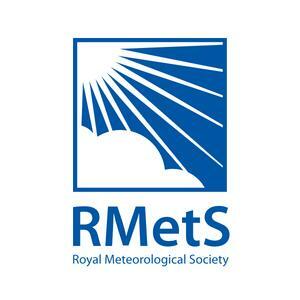 In this function he is responsible for maintaining and further developing the scientific foundation of MeteoGroup’s activities and advising in large customer projects about the best use of meteorological information. Before assuming management responsibility on group level, Dennis was for many years managing director of the German business of MeteoGroup. He joined the business in 1993 starting his career working as a forecaster and in meteorological development before moving into management. Dennis studied meteorology at the Freie Universität Berlin. Evelyn Müller is the Verification Manager of MeteoGroup, Europe’s largest private sector business. In this function she is steering all activities to measure, improve and communicate forecast quality within the company. Evelyn joined MeteoGroup in 1997 as a forecaster in the weather room and became soon involved in meteorological product development for various business sectors. She led the research team of MeteoGroup’s German office and managed national and international projects for a broad variety of industries, from agriculture, energy and insurance to media and transport markets. In her previous career Evelyn worked in hydrological research. Evelyn Müller graduated in Meteorology at the Humboldt-University of Berlin. Stephen has always had an interest in photography throughout his life, ever since picking up his mum's Kodak Instamatic camera which took 126 film. He eventually progressed up to 35mm SLR photography in the 1990's before moving onto digital in the early 2000's. He joined an astronomy society in 2010 and this opened up a different type of photography to pursue. Many of the subjects in astronomy would overlap with meteorology, so this is where he became more interested in photographing wild weather, including lightning. He has always been fascinated by lightning, but always failed to capture it until the winning image. Adrian is a professional photographer and an Associate of the Royal Photographic Society. His photographs have been published widely including National Geographic and Outdoor Photography magazine. He also has many book covers to his name including internationally published titles. Adrian's spent quite a bit of time in Iceland, revelling in the extreme winter conditions that have inspired his photography. Battling near hurricane force winds and extreme windchill, he took the photograph that won him first place in the Weather Photographer of the Year competition 2017.